Orthodontic braces have been around for more than a century and have continually evolved over that time. Today’s braces are more discreet than ever, producing excellent results without being overly obvious during the corrective phase. If you are in search of an aesthetically appealing way of straightening your teeth, Dr Scopu can provide multiple options to choose from, including lingual braces and clear aligners. Clear aligners are progressive-phase aligners designed for patients who need mild-to-moderate correction of crowded or crooked teeth. This system includes a series of custom-made trays that gradually shift the teeth into their targeted positions. Instead of frequently returning to our office to have braces tightened, you simply swap the trays out every few weeks. Clear aligners are virtually undetectable and can be removed while eating or brushing your teeth. When worn as prescribed, these metal-free trays can straighten your teeth in as little as six to 12 months, depending on the specific issue you are trying to correct. This treatment course is highly dependent on patient cooperation. 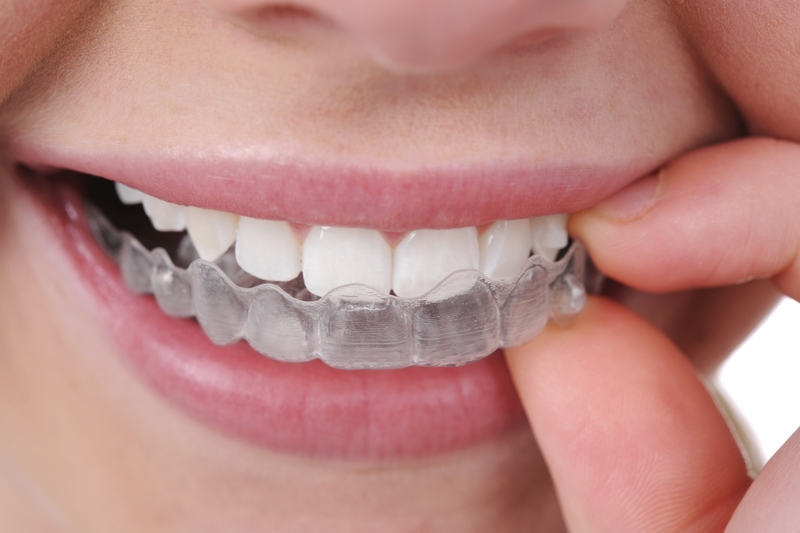 If the patient is diligent about wearing the aligners, the more efficient the treatment will be. Lingual braces are similar to traditional metal braces in that they are fixed to the teeth. However, lingual braces differ in that they are attached to back of the teeth rather than the front. This type of treatment is preferred over clear aligners among patients with moderate to severe orthodontic correction needs. Lingual braces are non-removable and must be adjusted periodically during scheduled orthodontic visits. However, lingual braces are capable of producing much more controlled force during treatment, which can yield highly successful results. If you think you may be a candidate for braces, but aren’t sure whether lingual braces or clear aligners are right for you, call us to schedule an appointment for a consultation and our team can help you decide. Schedule a consultation today to find out more about your orthodontic options and start on the path to the beautiful, healthy smile you’ve always dreamed of.